Simply measure the distance from edge to edge of the existing external track. 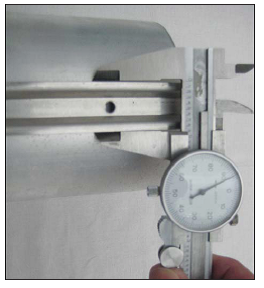 The most common track widths are 5/8", 7/8" and 1". If your track measures 1”, Tides will need to see a sample of the existing track before producing a Tides Track for your boat. Cut a 1 1/2” piece of your track from the bottom of the track on your boat and send it to Tides Marine. Tides will measure the track width - cut a corresponding sample piece of Tides Track - and send it to you to test over the length of track on your boat. If your track does not match the 5/8" or 7/8" standards, follow the same steps as noted above. A Tides Marine Sailtrack System can be attached to bare composite spars, wood spars and aluminum spars with no luff groove. 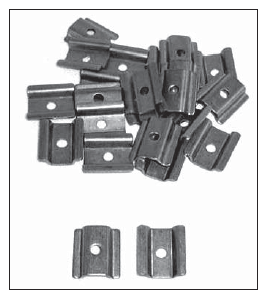 Based upon the length of track you order, Tides will provide you with a number of "CMPE Fasteners" (see below) which are used to complete the installation. Simply snap a chalk line from the masthead to the gooseneck down the center of the back of the mast. Then refer to the OVERALL TRACK LENGTH section on page 11 of the installation guide and measure the length of Tides Track you want to install on your vessel. 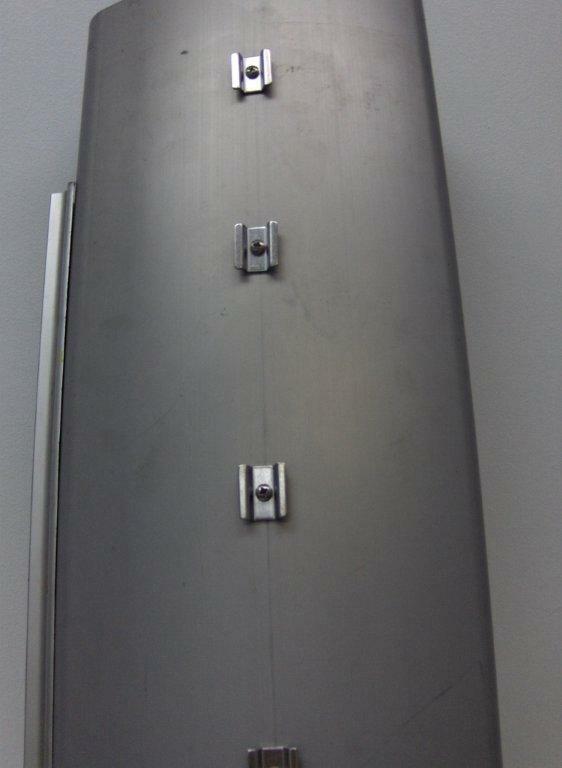 External SailTrack may be ordered online. CMPE SailTrack may be ordered online. Next, measure the overall length of Tides Track you want to install on your vessel. The track should start approximately 2" below the halyard sheave and stop 1" – 2" above the gooseneck. Your measurement will be more accurate if you first identify the distance from the top of your halyard thimble to the shackle pin – the halyard hardware (see photo below). Then, connect the end of a tape measure to the pin in your halyard shackle along with a retrieval line. Hoist the halyard as far as it will go and measure to the point on the mast where you want the Tides Track to end. Adjust this measurement to account for the length of your halyard hardware. In this example, the halyard hardware is 3" long. If you add 1" to the overall measurement on your tape, the track should stop 2" below the masthead sheave.